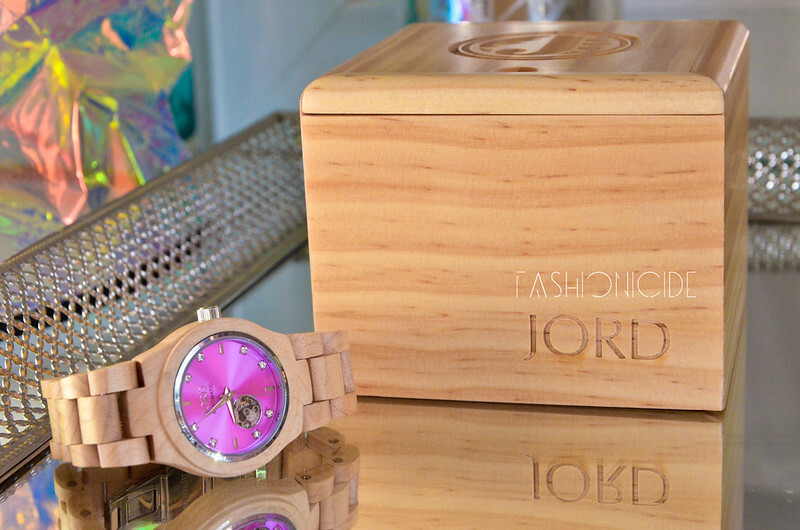 So imagine my surprise when Jord approached me to feature one of their wooden watches! 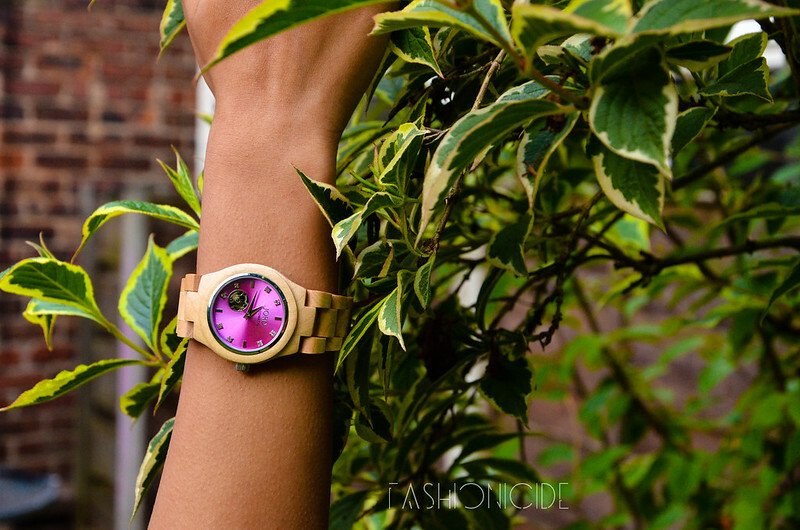 At first I thought the idea of a wooden watch was just bizarre and wouldn't work whatsoever, but my curiosity got the better of me, and I had a little browse on their website. I wasn't expecting a great deal really, but I was taken aback at how pretty some of the more feminine watches looked, and how the masculine watches looked like... well... watches. My mind had changed immediately, I wanted one of these. Their range is surprisingly extensive, I mean, how many different types of watches can you make out of wood? Apparently quite a few! The ladies watches are incredibly stylish, they have this unique quality that I can't quite put my finger on - they look flawless, yet flawed at the same time - and that draws me in. My personal favourites are the Cora watches, I would happily wear all of them, probably even at the same time, as I wouldn't be able to choose between them. But choose between them I must, as I couldn't be greedy and ask for them all! I spent a good hour or so poring over them, and eventually went for the Cora Maple and Lavender. 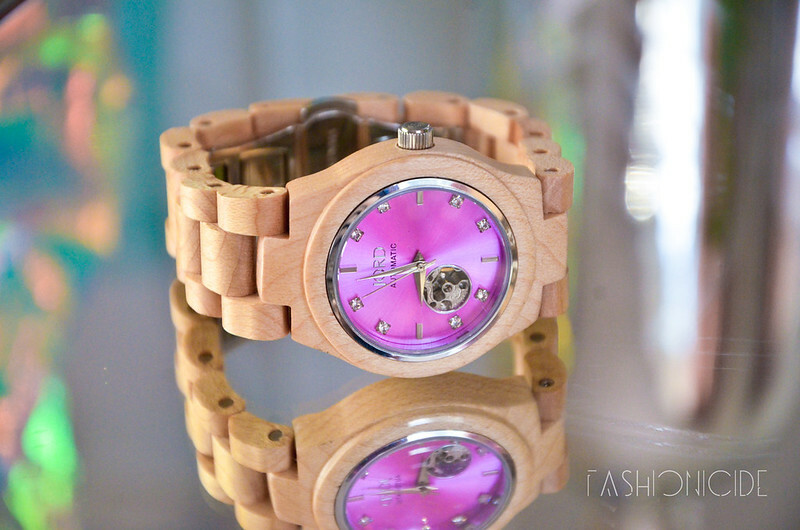 It really stands out over and above the rest, the shade of the wooden strap and the lavender face was a winning combination. Despite coming from America, within a couple of days it had arrived at my door and I didn't have to pay those pesky customs charges! Obviously I tried it on within minutes of arrival, and was feeling even better about my choice. The colour scheme of the watch contrasted well with the tone of my skin and seemed to complement my wardrobe too, it's one of those watches that just looks like it will go with everything. The chain links also reminded me of Michael Kors watches, I love Michael Kors, so this was no bad thing. Now that you've seen the box it comes in, I can't not mention it. I find that those little extra touches can really set a brand apart from the rest, Jord already have a unique selling point with their wooden watches, but they don't rest on their laurels, oh no. 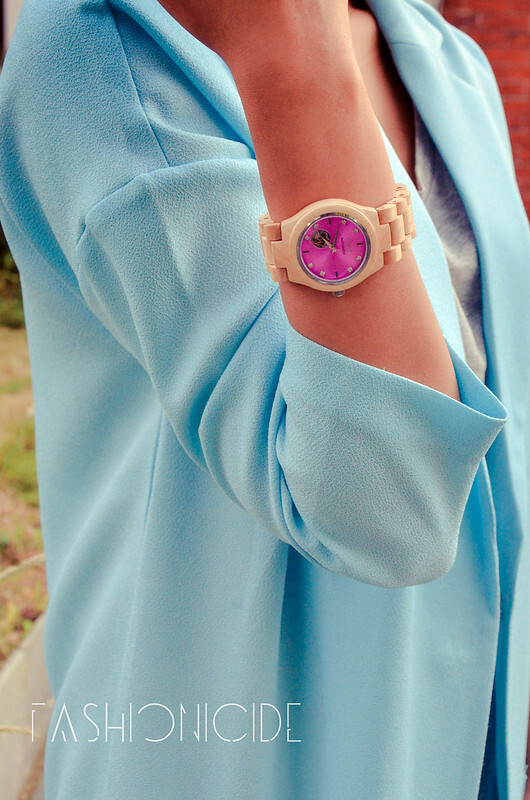 The case the watch comes in is both adorable and luxurious. It tells me that whatever's inside simply must be special. I'm not one for judging books by their covers, but upon seeing the box, I just knew I was going to love the watch it housed. I wore the watch to work, thinking I could just adjust the time there, but when I got there I realised that the mechanism was no longer working, it had just stopped dead! Fortunately one of the girls at work spent quite a lot of time around watches in her youth, her dad is a jeweller, and she showed me how to adjust the time. She also took a look under the bonnet (or the hood if you're in the States) - well, she turned it upside down and inspected the mechanism through the glass and said that it was a kinetic watch and didn't need any batteries - all I'd have to do is just shake it about and it kicks back into action! I've never owned a kinetic watch before, mine have always been battery operated which annoys me. Replacing the battery always takes time out of your day and costs way too much for the work that's actually being done, so with my new Kinetic Jord watch, I won't have to worry about that in future. I still can't get over the fact that if it stops ticking, all I need to do is shake it about and off it goes again! I was also surprised to learn that the marks on the face at 1,2,4,5,7,8,10 and 11 are Swarovski Crystals - Jord have really gone on the charm offensive with their Cora watches. Maybe it's been a while since I last bought a watch, but I'm also impressed by their overall level of customer service. They will ask you for your measurements, and give you instructions on how to measure, prior to sending it out. So you won't have the irritation of receiving a watch that's too big or too small, and you won't need to take it to your local watch repair shop to have it adjusted. I'm besotted with my Jord watch - from every angle it looks like nothing I've ever seen before and that suits me perfectly. I'm always looking at ways to buck the trend or break the norm, and from now on, instead of adorning my wrist with a dense metal timepiece, I'll have a light, airy piece of art telling me the time - as long as I keep moving! I'm not sure whether Jord's watches will be to everyone's liking, as they're really unconventional and cause you to quite often do a double-take: "Is that really made out of wood? Really, really?" But they are truly mesmerising, and generate a lot of interest and discussion. 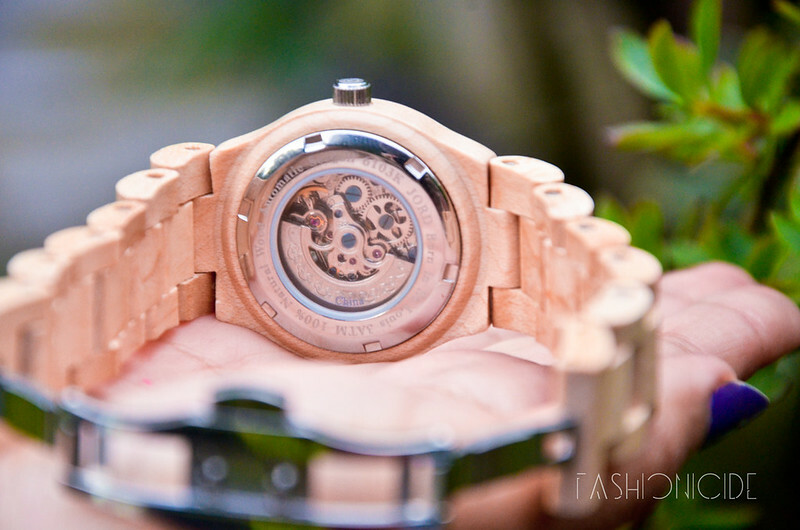 A wooden watch is not something that most people will have ever come across before, so they'll be fascinated by it! Yes, it really, really IS made out of wood, and wow, it's genuinely awesome! I actually love it too! It looks fab and how brilliant that it doesn't need batteries either. This watch is so pretty and unique. I love it and want it. Lucky you. 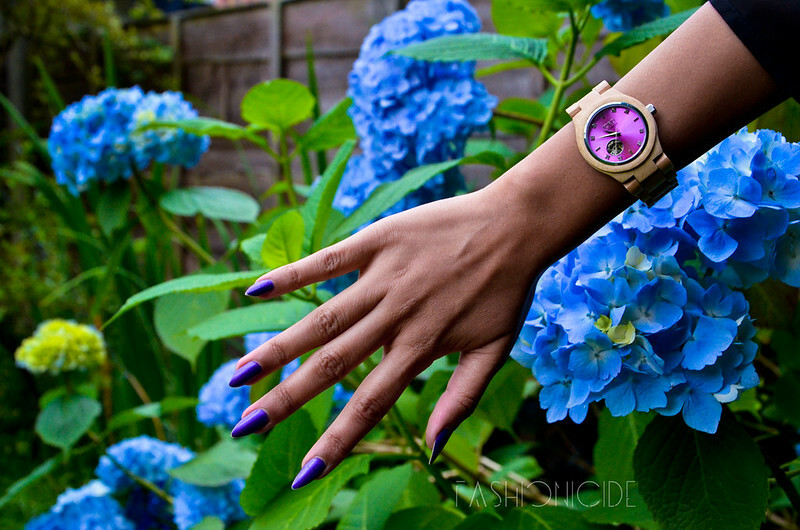 That watch is gorgeous and completely suits you! I love perfect the shiny-ness is for all your outfits. Also, wow, that box. Seriously, they put your blog name on it and everything? That's so awesome! I love it, it works so well with your skintone!